Open from mid June to the end of August. We offer simple and practical yet luxurious lavender, handcrafted lavender products, fine hand-woven articles and other gift items for you and your home. 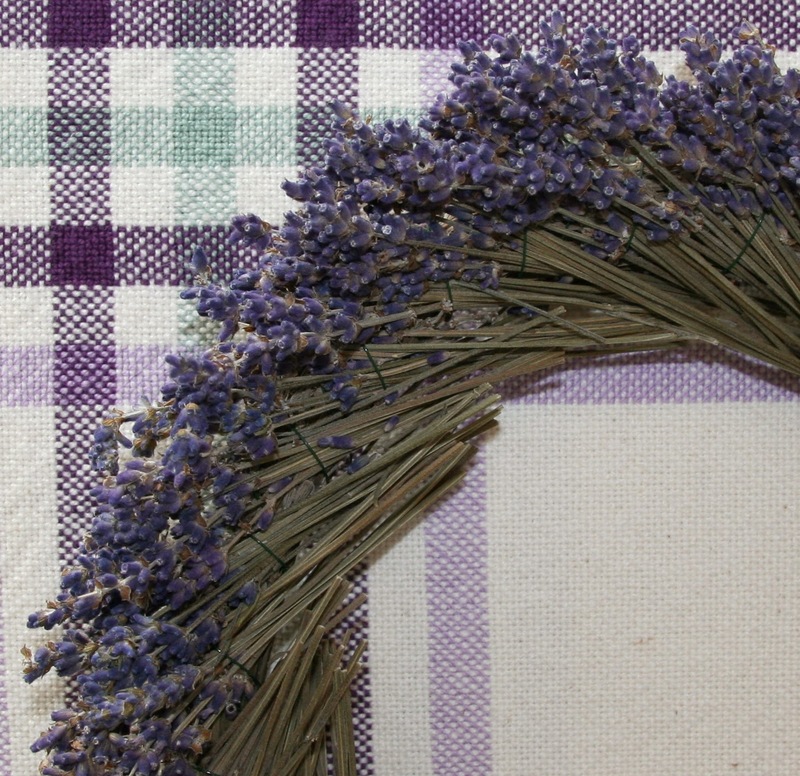 Our lavender products include: lavender bouquets, sachets, wands, wreaths, dream pillows, as well as tea- towels, table runners, wash cloths, scarves, etc. Our nearly 600 plants of several lavender and lavandin cultivars are presented in a formal garden design. The combined sweet and spicy fragrances and stunning floral view creates a calm and meditative respite within our family-run grain and oilseed farming operation. Visit our lavender garden and on-farm shop/studio. NEW for 2014 and 2015! ‘Lavender Crafting Workshops.’ For further information, registration or other inquiries please contact Tracy. Come enjoy the rolling hills of Weir’s Lane Lavender & Apiary, nestled near hiking trails and many of the waterfalls of Hamilton (an easy drive from Toronto). Our farm is home to thousands of lavender varieties and colours. We are ecologically oriented and provide a bio-diverse environment for our bees that include lavender, native wildflowers, and, starting in 2014, hazelnut trees. Our farm is open year round. We provide free tours and a farm store with over 100 handcrafted lavender and bee-related products (culinary, bath/body, home). 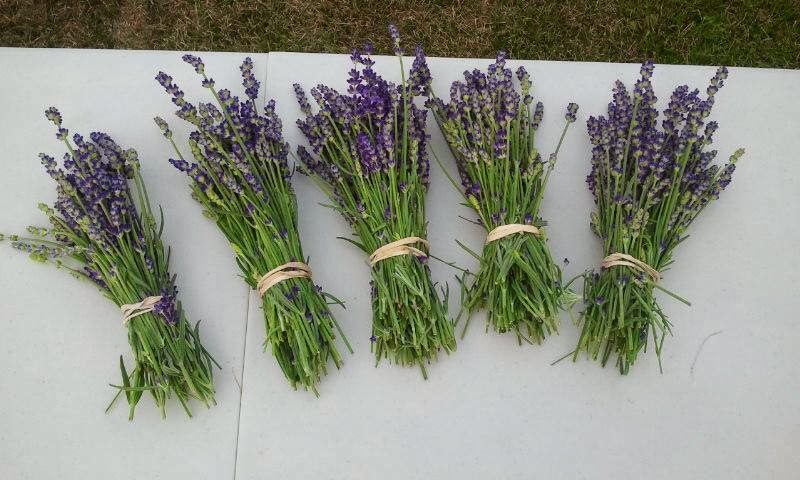 Enjoy special events such as Farm Crawl Hamilton and our Lavender & Music festival. We offer something for all your senses; smell the lavenders; taste culinary delights; hear the buzz of our bees working their magic in the lavender; see the rainbow of colours around the farm from lavenders to wildflower pollinator gardens to tree blossoms; relax with nature and fresh air. We can’t wait to meet you. Christel Lake Lavender Farm, located about an hour’s drive northeast of Toronto, is set in peaceful farm country. Stroll among the beautiful lavender plants and around our spring-fed lake, or let us take you on a golf cart tour. 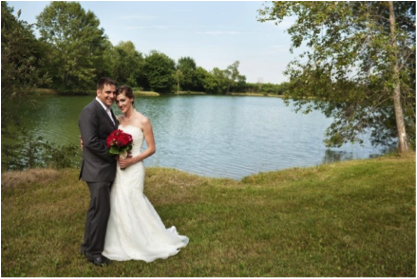 Christel Lake Lavender farm also provides a unique and memorable setting for your wedding photos. Our lavender farm is in its third year of operation and we are expanding the varieties of lavender plants in our fields each year. 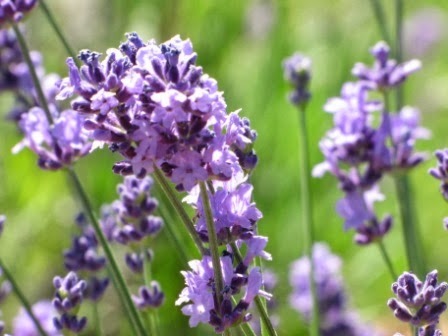 Our lavender is grown naturally, without the use of herbicides or pesticides. We have a variety of lavender products available that can provide you with the aromatic and calming benefits from naturally grown lavender. Visit us at 1381 Scugog Line 12, Greenbank ON (off Highway 12, just north of the Village of Greenbank). Please call ahead at 905-985-9060 or email us at christel.lake.lavender@gmail.com.